Six days from now, Walt Disney World will celebrate its 45th birthday. The Magic Kingdom opened on October 1st, 1971. 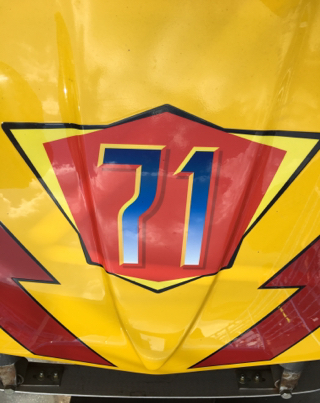 I thought it was appropriate that I was driving car number "71" on Tomorrowland Speedway today. This is a shot of the hood of my car.